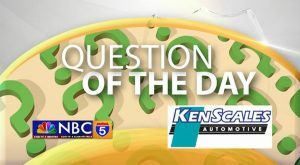 Question: Thanks to recent technology this is one kitchen chore that you should almost never have to do again…What is it? Question: What is the most commonly used letter in the alphabet? Question: 4% of lost TV remotes are found here. Where is it? Question: 11% of people do this on Valentine’s Day. What is it?